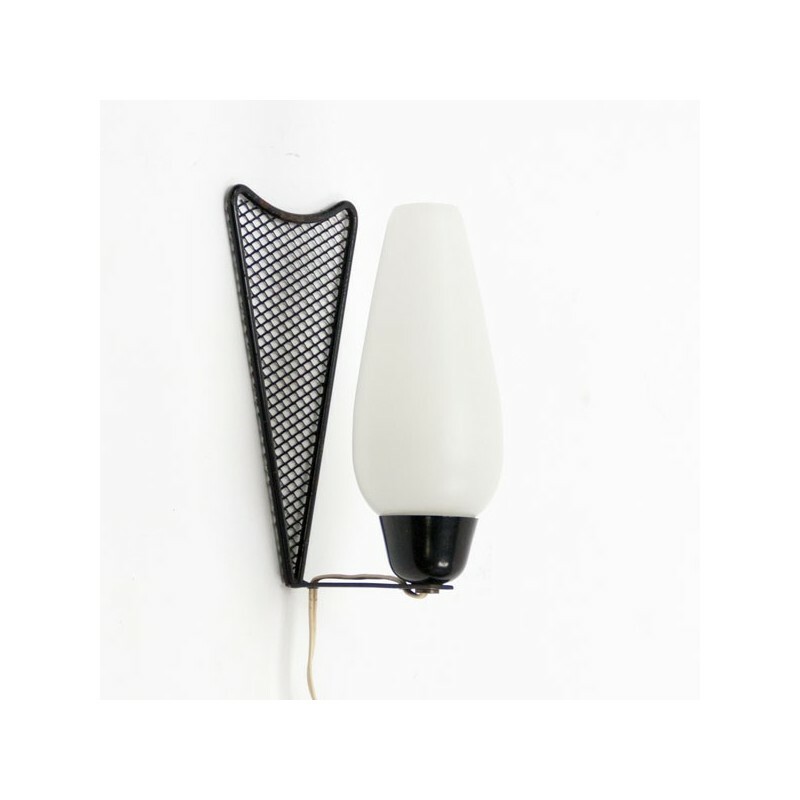 Vintage wall lamp most probably from the Philips brand. 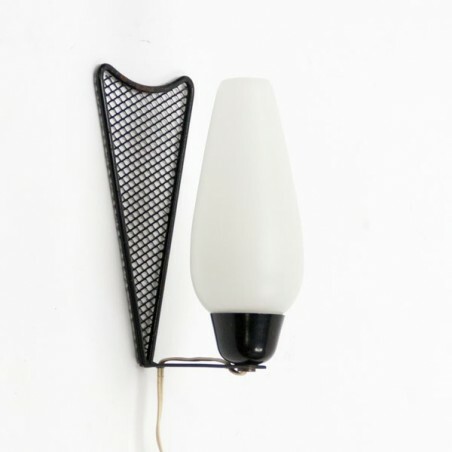 The lamp is from the late 50's / early 60's, has a white glass cap and perforated metal frame. The condition is good considering the age, see the detail photos. The size is 21 cm high and the cap is 7.5 cm in diameter.